Oswestry-based TNS have a testing tie against higher division Leicester City Women, while Poole Town face a similarly tough challenge with the visit of Crystal Palace. Liverpool Feds have a 100% record in Northern Division 1 ahead of hosting Steel City, who are mid-table in the Midlands. Newcomers Poole face their stiffest challenge yet with a visit from Crystal Palace, who sit second in the Southern. 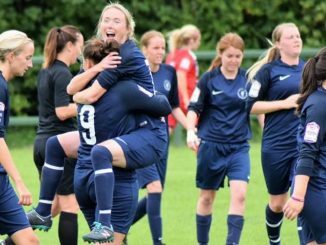 Southampton WFC have only played two FAWPL games to date but won them both and entertain Actonians, who have bagged a lot of goals but also lost a couple of games. 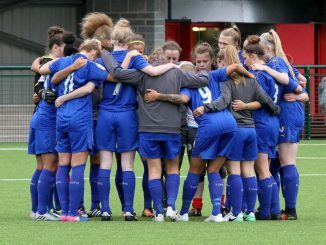 TNS have made a perfect start in the Midlands Division and they now test themselves against Leicester City WFC, who are going quite well in the Northern top flight. In the Plate, Hull would hope to progress past Leicester City Ladies, as the Tigers have only dropped two points, while their visitors have none. Chorley hav e four points from as many games going into the tie with Rotherham, the Millers still to get off the mark after three outings. The all-South West Division clash see St Nicholas at home to Basingstoke, with both sides winless in the league, St Nicks having one point to Town’s two.